1080p is the shorthand identification for a set of HDTV high-definition video modes that are characterized by 1080 horizontal lines of vertical resolution and progressive scan, meaning the image is not interlaced as is the case with the 1080i display standard. The term assumes a widescreen aspect ratio of 16:9, implying a resolution of 1,920 pixels wide by 1,080 high. This resolution is similar to that of 2K digital cinema technology. The frame rate can be either implied by the context or specified after the letter 'p', such as 1080p30, meaning 30 progressive frames per second. 1080p, sometimes referred to in marketing materials as Full HD, typically refers to the capability to accept 1080p signal and display it with native resolution of at least 1080 lines, as well as the capability to upscale lower-resolution material to 1080p. The HD ready 1080p logo program by DIGITALEUROPE requires that certified TV sets support 1080p24, 1080p50, and 1080p60 formats, and feature a native resolution of at least 1920×1080 pixels, among other requirements. The filmmaking industry has embraced 1080p24 (i.e., 1080p displayed at 24 frames per second) as a digital mastering format in both native 24p form and in 24PsF form. 1080p24 has become an established production standard for digital cinematography and there is plenty of equipment capable of capturing and processing 1080p24 signals. This may be the first universal video standard, transcending continental boundaries, putting it in a category with 24-frame film. For live broadcast applications, a high-definition progressive scan format operating at 1080p at 50 or 60 frames per second is currently being evaluated as a future standard for moving picture acquisition.EBU has been endorsing 1080p50 as a future-proof production format because it improves resolution and requires no deinterlacing, allows broadcasting of standard 1080i25 and 720p50 signal alongside 1080p50 even in the current infrastructure, and is compatible with DCI distribution formats. 1080p50/p60 production format will require a whole new range of studio equipment including cameras, storage and editing systems, and contribution links (such as Dual-link HD-SDI and 3G-SDI) as it has doubled the data rate of current 50 or 60 fields interlaced 1920 × 1080 from 1.485 Gbit/s to nominally 3 Gbit/s using uncompressed RGB encoding. Most current revisions of SMPTE 274M and EBU Tech 3299 require YCbCr color space and 4:2:2 chroma subsampling for transmitting 1080p50 (nominally 2.08 Gbit/s) and 1080p60 signal. Recent studies show that for digital broadcasts compressed with H.264/AVC, transmission bandwidth savings of interlaced video over fully progressive video are minimal even when using twice the frame rate, i.e., 1080p50 signal (50 progressive frames per second) actually produces the same bit rate as 1080i50 signal (25 interlaced frames or 50 sub-fields per second). In the United States, the original ATSC standards for HDTV supported 1080p video, but only at the frame rates of 23.976, 24, 25, 29.97 and 30 frames per second (colloquially known as 1080p24, 1080p25, and 1080p30). In July 2008, the ATSC standards were amended to include H.264/MPEG-4 AVC compression and 1080p at 50, 59.94, and 60 frames per second (1080p50 and 1080p60). Such frame rates require H.264/AVC High Profile Level 4.2, while standard HDTV frame rates only require Level 4.0. This update is not expected to result in widespread availability of 1080p60 programming, since most of the existing digital receivers in use would only be capable of decoding the older, less-efficient MPEG-2 codec, and because there is a limited amount of bandwidth for subchannels. In Europe, 1080p25 signals have been supported by the DVB suite of broadcasting standards. The 1080p50 standard has been foreseen as a future-proof production format, and eventually a future broadcasting format. 1080p50 broadcasting should require the same bandwidth as 1080i50 signal and only 15–20% more than that of 720p50 signal due to increased compression efficiency, though 1080p50 production requires more bandwidth and/or more efficient codecs such as JPEG 2000, high-bitrate MPEG-2, or H.264/AVC and HEVC. Since September 2009, ETSI and EBU, the maintainers of the DVB suite, added support for 1080p50 signal coded with MPEG-4 AVC High Profile Level 4.2 with Scalable Video Coding extensions or VC-1 Advanced Profile compression; DVB also supports 1080p encoded at ATSC frame rates of 23.976, 24, 29.97, 30, 59.94 and 60. EBU requires that legacy MPEG-4 AVC decoders should at least not crash in presence of SVC and/or 1080p50 (and higher resolution) packets. SVC enables forward compatibility with 1080p50 and 1080p60 broadcasting for older MPEG-4 AVC receivers, so they will only recognize baseline SVC stream coded at a lower resolution or frame rate (such as 720p60 or 1080i60) and will gracefully ignore additional packets, while newer hardware will be able to decode full-resolution signal (such as 1080p60). 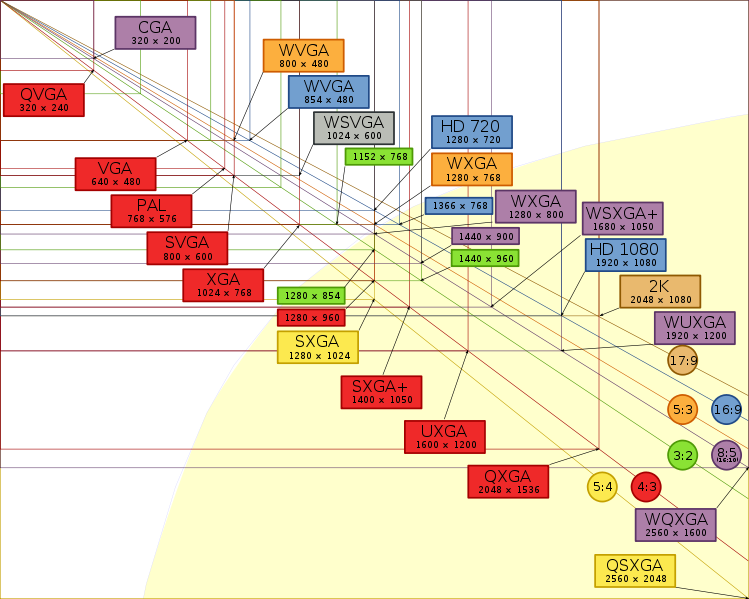 In the United States, 1080p over-the-air broadcasts still do not exist as of 2012; all major networks use either 720p60 or 1080i60 encoded with MPEG-2. However, satellite services (e.g., DirecTV, XstreamHD, and Dish Network) utilize the 1080p/24-30 format with MPEG-4 AVC/H.264 encoding for pay-per-view movies that are downloaded in advance via satellite or on demand via broadband internet only. At this time, no pay service channel such as USA, HDNET, etc. nor premium movie channel such as HBO, etc., stream their services live to their distributors (MVPD) in this format because many MVPDs, especially DBS and cable, do not have sufficient bandwidth to provide the format streaming live to their subscribers without negatively impacting their current services and because of the high "cost" of using more bandwidth for one 1080p/24 channel than what would be used for a 1080i or even a 720p channel and for only those relatively few subscribers who have HDTV devices that can display 1080p/24 as not being an efficient use of their limited bandwidth. For material that originates from a progressive scanned 24 frame/s source (such as film), MPEG-2 lets the video be coded as 1080p24, irrespective of the final output format. These progressively-coded frames are tagged with metadata (literally, fields of the PICTURE header) instructing a decoder how to perform a 3:2 pulldown to interlace them. While the formal output of the MPEG-2 decoding process from such stations is 1080i60, the actual content is coded as 1080p24 and can be viewed as such, using a process known as inverse telecine, since no information is lost even when the broadcaster (as opposed to the receiver) performs the 3:2 pulldown. Blu-ray Discs are able to hold 1080p HD content, and most movies released on Blu-ray Disc produce a full 1080p HD picture when the player is connected to a 1080p HDTV via an HDMI cable. The Blu-ray Disc video specification allows encoding of 1080p24, 1080i50, and 1080i60. Generally this type of video runs at up to 40 megabits per second, compared to the 3.5 megabits per second for conventional standard definition TVs. Several websites, including YouTube, allow videos to be uploaded in the 1080p format. A couple of showcases include Apple QuickTime Trailers in QuickTime HD 1080p format and the Microsoft WMV HD Content Showcase. Another example of 1080p content is the MacBreak 1080p podcast created by Leo Laporte and Alex Lindsay. This podcast is distributed via the BitTorrent method of distribution because of the large file sizes resulting from the high bit-rates. BitTorrent is also used to distribute many 1080p movies that have been copied from Blu-ray Disc and/or broadcast sources. Microsoft Silverlight can offer 1080p smooth streaming via IIS media services. As of 2012, most consumer televisions being sold provide 1080p inputs, mainly via HDMI, and supporting full high-def resolutions. Now 1080p resolution is available in all types of television, including plasma, LCD, DLP front and rear projection, and LCD projection. For displaying film-based 1080i60 signals, a scheme called 3:2 pulldown reversal (reverse telecine) is beginning to appear in some newer 1080p displays, which can produce a true 1080p quality image from film-based 1080i60 programs. Similarly, 25fps content broadcast at 1080i50 may be deinterlaced to 1080p content with no loss of quality or resolution. The AV equipment manufacturing industry has adopted the term Full HD as the consumer-friendly marketing term to mean the set is a safe purchase because it can display all available HD resolutions up to 1080p. The term is misleading, however, because it does not guarantee the set is capable of rendering digital video at all frame rates encoded in source files with 1080 pixel vertical resolution. Most notably, a "Full HD" set is not guaranteed to support the 1080p24 format, leading to consumer confusion. DigitalEurope (formerly EICTA) maintains the HD ready 1080p logo program that requires the certified TV sets to support 1080p24, 1080p50, and 1080p60, without overscan/underscan and picture distortion. Some modern widescreen liquid crystal display (LCD), most widescreen cathode ray tube (CRT), and all QXGA monitors can natively display 1080p content. Widescreen WUXGA monitors for example support 1920×1200 resolution, which can display a pixel for pixel reproduction of the 1080p (1920×1080) format. The resolution is rare, but increasing in popularity amongst laptops in 2009; some laptops have a 13", 15", 17" or even a 18.4" display that run a resolution of 1920×1200 or 1920x1080. Additionally, many 23, 24, and 27-inch (690 mm) widescreen LCD monitors use 1920×1200 as their native resolution, 30 inch displays can display beyond 1080p at up to 2560x1600 (1600p). Many 27" monitors have native resolutions of 2560×1440 and hence operate at 1440p. Other 1080p-compatible LCDs have lower than 1920×1080 native resolution and cannot display 1080p pixel for pixel, relying on the display's internal scaler to produce an image resized to suit the display's actual resolution. Current generation video game consoles such as Sony's PlayStation 3 and Microsoft's Xbox 360 can display games and video content in 1080p. Nintendo's Wii U, with a release expected in 2012, will support 1080p via HDMI.For all of the consoles, this is done through HDMI connections (in the case of the Xbox 360, HDMI is only available on consoles manufactured after June 2007). Additionally, 1080p video is available on the PlayStation 3 and Xbox 360 via an analog component/D-Terminal (YPBPR) connection, as well as the VGA connection on the Xbox 360. On the PlayStation 3, developers must provide specific resolution support at the software level as there is no hardware upscaling support, whereas on the Xbox 360 games can be upscaled using a built in hardware scaler chip. Most games on both consoles however do not run at a native 1080p resolution and only a select few allow this option due to other constraints (such as graphical memory), which most developers prefer to invest in different areas. Both the PlayStation 3 and Xbox 360 provide 1080p video services. Sony provides both the PlayStation Store VOD service and Blu-ray Disc playback. Microsoft provides the Zune Video Marketplace for "instant on" 1080p† video content but does not have Blu-ray disc playback capability. It does however support the now-defunct HD DVD disc standard via the Xbox 360 HD DVD Player add-on. Both consoles also offer support for streaming 1080p† content in various formats over home network from other computers, and also via USB connection to external storage devices. ^‡ While 1080p analog component output is supported by the consoles, most display hardware will only accept component connections up to 1080i. Many consumer camcorders and professional video and DSLR photo cameras can capture 1080p24, 1080p25, or 1080p30 video, often encoding it in progressive segmented frame format. As of 2012, there are a few consumer AVCHD/NXCAM camcorders that can capture 1080p50 and 1080p60 video, including the Panasonic HDC-TM700/HDC-HS700/HDC-SD700/HDC-SD600, the Sanyo Xacti VPC-HD2000, and the Sony Handycam NEX-VG20/NEX-FS100.Professional digital cinema cameras capable of capturing 1080p60 include the Sony CineAlta F23 camera and Sony SRW9000 camcorder (with optional 60p processing boards installed),Sony PMW-F3 camcorder, as well as RED One camera (in 2K and 3K capturing modes). Sony Alpha 77and Sony Alpha 57 digital SLR can also record video in 1080p60 and 1080p50.